The perfect blend of style and performance. Triple-stitched seams, "mudflap" reinforced heel cuffs, reinforced pocket bags, angled back pocket, and pocket with snap closure on right thigh -- ideal for a standard-size cell phone. I've been admiring your pants for a while and finally bought a pair. They are so comfortable and look awesome. Will definitely be more in my future. Wow these are amazing. I would just stop reading my review and buy them. Solid pants. Perfect fit. Finally a 32x34 that fits right. Reinforced in all the right places. I really like this color too. Best pant for social to mountain situations. If the 107 didn't change its cut the 105 would be below the 107. Definitely a go to when there's a meeting in the agenda but the mountains or play time are in the line up. My camber 105 pants fit the moment I put them on—so happy with the waist and length as I wasn’t so lucky with the last pair I bought a couple of years ago. 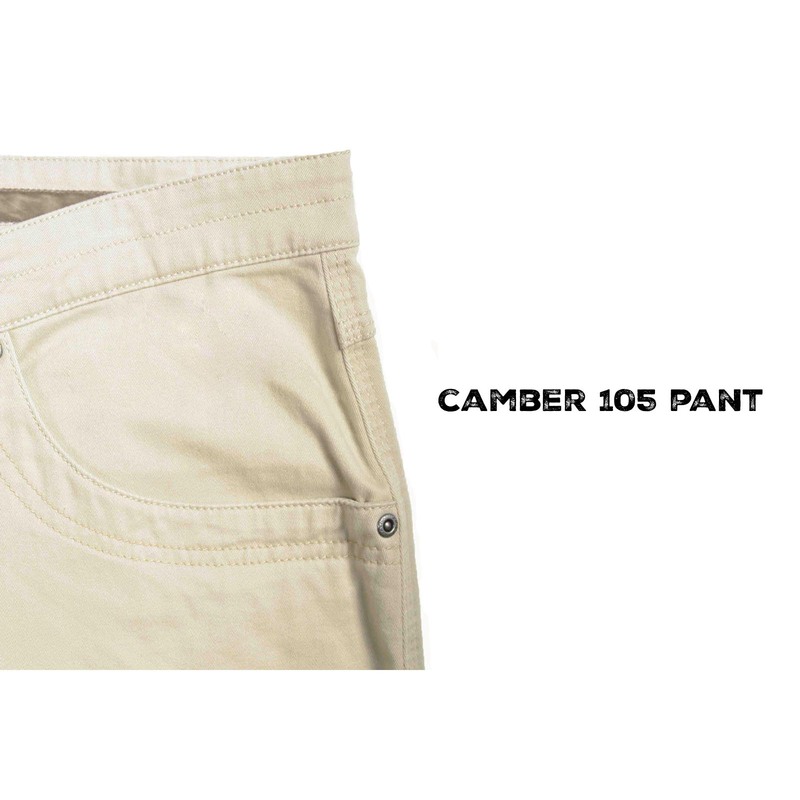 The camber 105 is the most comfortable pants I own, bar none. If I were to suggest any improvement, it would be to beef up the snap on the thigh cell phone pocket.